Renault workers who take part in demonstration jailed. Workers fired from the Turkish automotive manufacturer Oyak-Renault have been handed prisons sentences for joining a march to protest against their dismissal, Turkish news site Evrensel reported on Friday. Police detained the 15 workers in 2016 during a demonstration held by thousands of workers outside the factory. The gathering was called after 10 workers were dismissed amid a dispute with their employers over their right to choose to be represented by a new union, Birleşik Metal-İş. 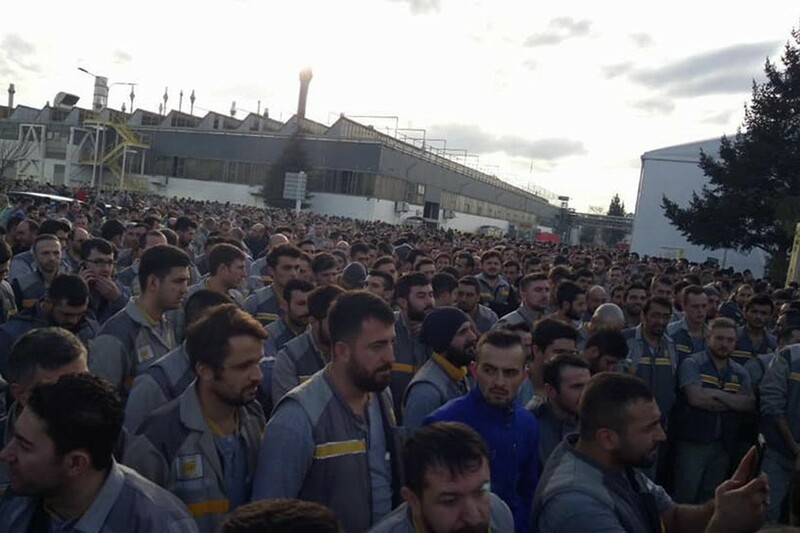 Their employer, however, took the stiff police opposition to the protest as an encouraging sign, and later fired a further 130 workers for their membership of Birleşik Metal-İş, Evrensel reported. The case was taken to court in Bursa, northwest Turkey, where a judge ruled in favour of the dismissed workers seeking compensation and their jobs back. However, the court has found the workers who were detained at the protest guilty of joining an unlawful demonstration and sentenced them to five months in prison. Turkish authorities say the workers attacked police at the demonstration. Birleşik Metal-İş issued a statement after the court’s decision was announced, saying verdict had sent a message to employers that they can fire or put pressure on workers for their union membership and have them sent to prison if they protest. The union said the verdict had gone against precedents set by Turkey’s highest legal body, the Constitutional Court, and the European Court of Human Rights on workers’ rights to stage demonstrations.